1949년에 우즈베키스탄에서 태어나 타지키스탄에서 그림공부를 하여 화가가 되었고 그 후 모스크바에 정착, 러시아미술가협회 회원으로 활동하고 있는 박미하일은 한국에서 여러 차례 전시회를 연 화가이다. 그는 1967년부터 소설을 썼는데 국내에 번역, 출간된 2권의 창작집에 3편의 소설이 실려 있다. 연작장편소설 「천사들의 기슭」은 구소련 시절에 화가로서, 조선인으로서, 또 연해주에서 중앙아시아 지역으로 이주한 이민으로서 겪는 고난의 정도가 잘 나타나 있는 소설이다. 고려인으로서 정체성을 갖고 살아가지만 주인공은 그것 때문에 많은 부담을 느끼며 고뇌하게 되고, 결국 최초의 전시회 전날 그림이 몽땅 불타는 비극적 결말을 맞이한다. 이민 1세대와 2세대 조상의 연해주 이주와 정착의 과정을 담은 장편소설 「해바라기 꽃일 바람에 날리다」의 주인공 월국(2세대)은 러시아인들의 도움으로 커서 화가의 길을 걸어간다. 이 소설에서 박미하일은 19세기 중반에 함경도 북부의 조선인들이 왕정의 압제를 못 견뎌 연해주로 이주하는 과정에서 러시아인들로부터 많은 도움을 받았음을 강조하였다. 반면 조선의 관헌은 연해주로 간 조선인들을 잡아서 처형하는 잔인함을 보여주었다고 했다. 중편 분량의 연작소설 「발가벗은 사진작가」는 러시아인 아버지와 조선인 어머니 사이에서 난 혼혈인의 정체성을 다룬 작품이다. 특히 연해주에서 중앙아시아로 강제이주한 조선인들이 주류 사회에서 소외당하지 않기 위해 자신을 부정하거나 숨기며 살아간 사실을 들려준다. 이와 같이 그의 소설이 의미가 있는 것은 재러시아 고려인 소설가가 썼다는 것에 있지 않고 이민자로서 이국에 가서 살면서도 태생에 대하여, 즉 자신의 정체성 문제를 놓고 괴로워하는 문제적 인물을 주인공으로 내세웠다는데 있다. 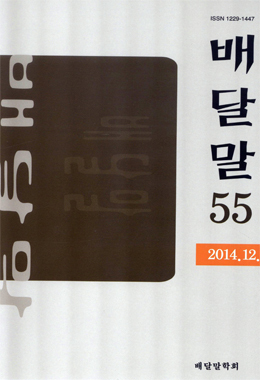 Park Michail is a representative ethnic Korean novelist who resides in Russia. He is well known artist who had six private exhibitions in Korea. That could be one of reason why his not known as a writer but known as an artist in Korea. Therefore, his novels were introduced in Korea are little and not many of his study cases have conducted so far. This study is mainly focused on people`s life and dreams who reside as ethnic Koreans in Russia from Park`s novels; , which were translated in Korean. is about an artist during the former Soviet Union, This story tells well the hardships he faced as an ethnic Korean, and migrant who moved from Maritime Province to Central Asia. He accepts his Korean identity, but at the same time, he also has obligation to accept it and it became burden on him. At the end of the story, on the day before his exhibition, he faced such misfortune which was all of the paintings were burnt down. The story of shows well regarding the process and settlement of 1st & 2nd generations who migrant from the Maritime Province to the central Asia. The main character of , Wol-kuk(2nd generation) became an artist with Russian support. What Park wanted to tell through this novel is many Koreans from then or the part of Ham-kyung Province groaned under oppression from Choseon dynasty, in the middle of 19th century, and that made them left their country and received great support from Russian. On the other hand, Choseon dynasty government interference captured those Korean sand killed them. mentions about identity of who were born with half-Korean (mother) and half-Russian (father). This story tells very important thing to the readers that many of pressure-moving Koreans moved from Maritime Province to Central Asia were self denied and concealed their identity to not give in to persecution from the mainstream society. These 3-novels, are important not only those are written by an ethnic Korean who resides in Russia, but also expressed their hardships, joys and sorrows for all Koreans in Russia(or the former Soviet Union). Furthermore, characters in these novels show the both, confirm their identity or deny, which it became a subject of this study.